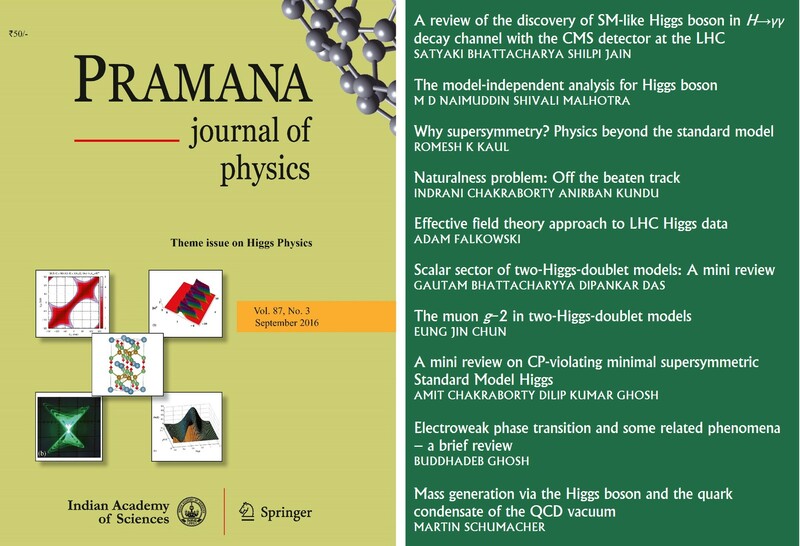 From the discovery of the Higgs Boson, to how supersymmetry solves the Naturalness Problem, to research on electroweak phase transitions and related phenomena such as cosmological baryogenesis, electroweak bubble dynamics, generation of gravitational waves, etc., the latest edition of Pramana – Journal of Physics covers, in a latitudinarian manner, a spectrum of discussions on the current standing of the field of particle physics. Is the discovery of the 125 GeV resonance at the LHC suggestive of a new physics beyond the Standard Model? If the discovery was indeed that of a Higgs boson as described by the Standard Model, then what keeps it light and protected from large quantum corrections? What do this discovery and its associated theoretical investigations tell us about other questions on symmetry breaking? If the discovered particle is only approximately the SM Higgs, then is the electroweak breaking mechanism driven by an extended scalar sector? (This becomes relevant, especially when considering the purported excess in the γγ final state at 750 GeV). Is new physics (at the few TeV scale), then, well-approximated by a simple two-Higgs doublet model or should we consider more elaborate structures such as the minimal supersymmetric SM? In the pursuit of the solutions to these questions and their like, however, the September 2016 issue of Pramana raises other, rather compelling, ones. Access the full articles here.